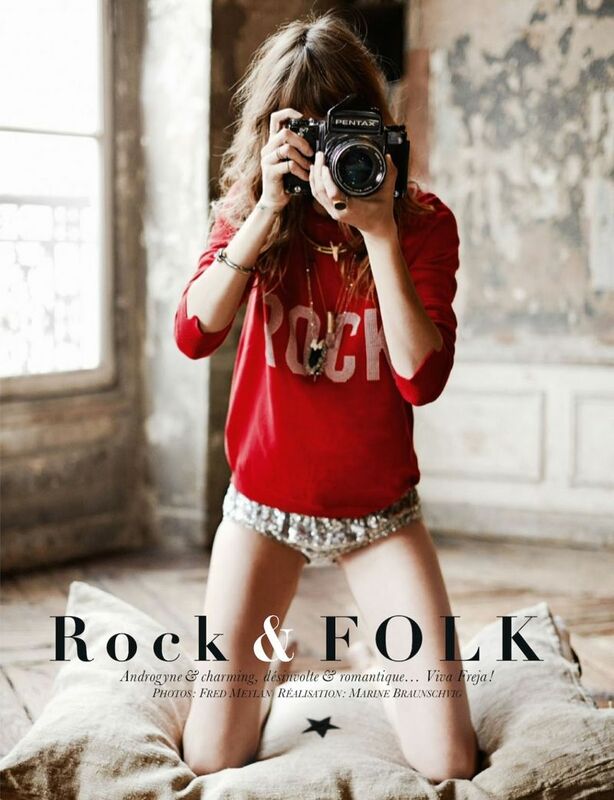 Looking both femininely whimsical and rock-chic cool, the gorgeous Freja Beha Erichsen stars in this folksy fashion shoot for the Glamour France August 2014 cover shoot and editorial. But unlike other fashion spreads, the stunning model is not contempt with just being in front of the camera, so she takes on the job of being the one behind it as well in some of the images. For the 'Rock & Folk' editorial, the always-mesmerizing Erichsen is captured by photographer Fred Meylan and styled by fashion editor Marine Braunschvig. In the folksy fashion shoot, we see the brunette beauty posing both outdoors and indoors looking like the epitome of bohemian glam in androgynous, charming and romantic styles that features the season's hottest flared pants, leather jackets and ruffled blouses.